As part of their commitment to making screen media accessible to the hearing and visually impaired, Screenworks is proud to be delivering a Closed Captioning and Audio Description Workshop. This one-day seminar has Ballina-based captioning expert Michael Lockrey and Sydney-based Audio Description Manager Alison Myers presenting in Byron Bay on Thursday 18th August 2016. Michael Lockrey is a passionate advocate for correct captioning across all media. 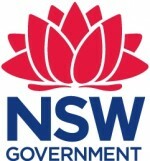 For six years he was Chairman of the Australian Communication Exchange, a not-for-profit organisation providing phone access to the deaf and hearing impaired. As a profoundly deaf man, Michael has developed an app “no more craptions” to easily transform Google’s auto-captions into correct closed captions. Michael has won a national award for his advocacy work with captioning. Sydney-based Alison Myers is the Audio Description Manager at The SubStation. After many years as a captioner, Alison branched out into audio description in 2008 and has been a passionate advocate ever since, seeking to expand its use, audience and accessibility in Australia. Whether providing Audio Description for cinema, DVD, internet or exhibitions, she is committed to ensuring her team delivers the best in the industry. By delivering this practical workshop in Byron Bay, Screenworks wants to educate filmmakers on the simplicity and significance of Closed Captions and Audio Description in screen media; how it increases the opportunities for your screen media and helps address delivery requirements for some broadcasters and exhibitors. This event is a free event but places are strictly limited and you must register for your ticket in advance to secure a space. Tickets and more information www.screenworks.com.au. 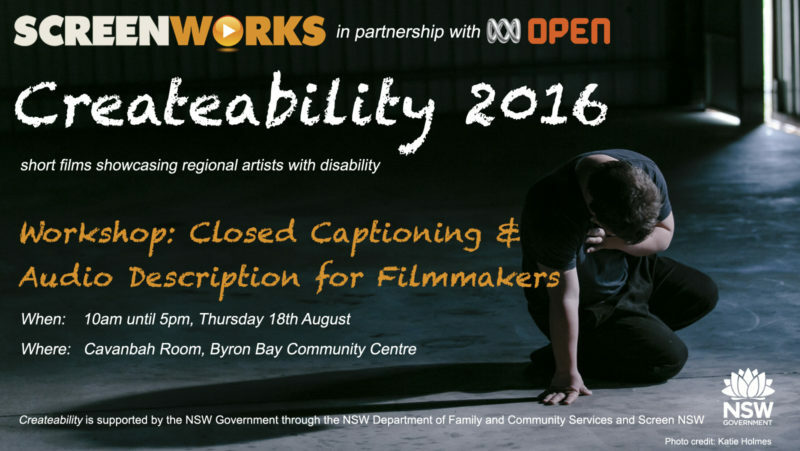 Detailed information about the CREATEABILITY 2016 project in addition to online registrations are available from Screenworks’ website – https://www.screenworks.com.au/createability.